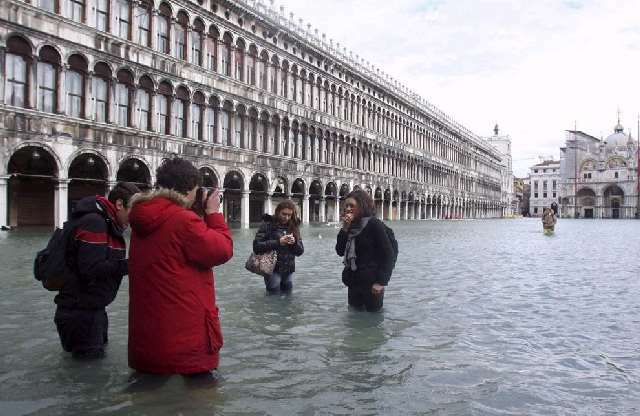 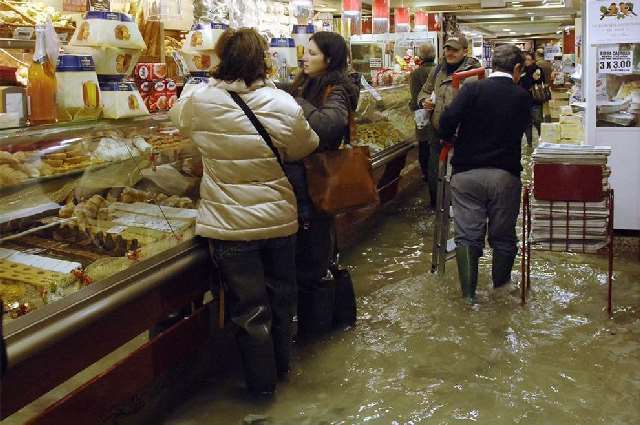 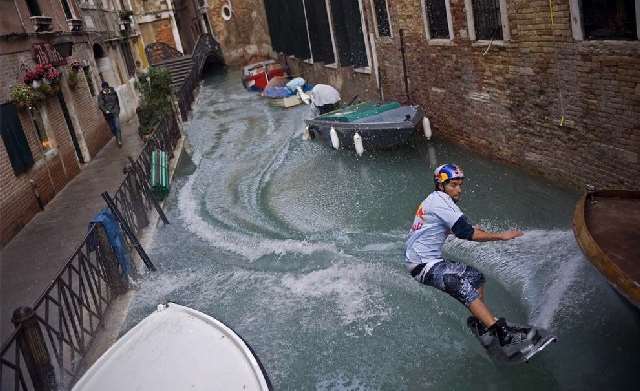 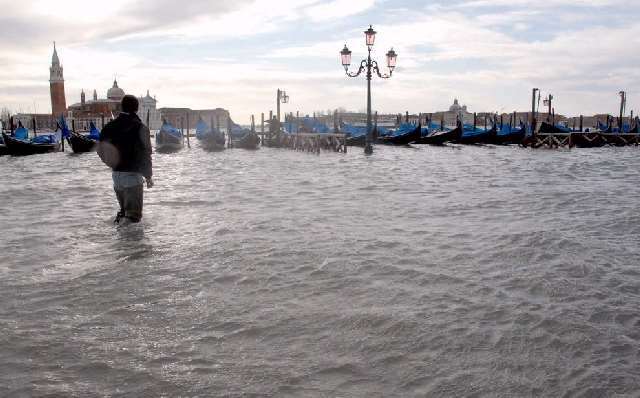 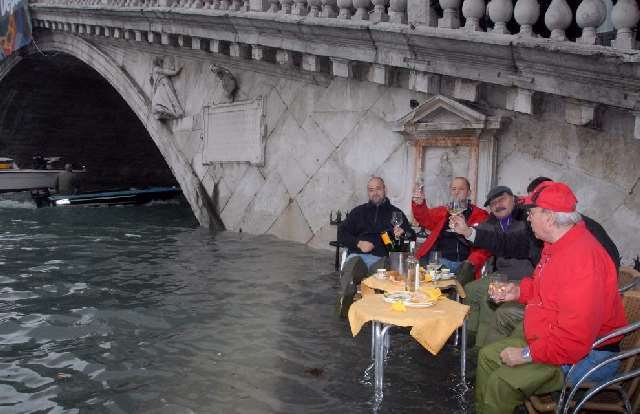 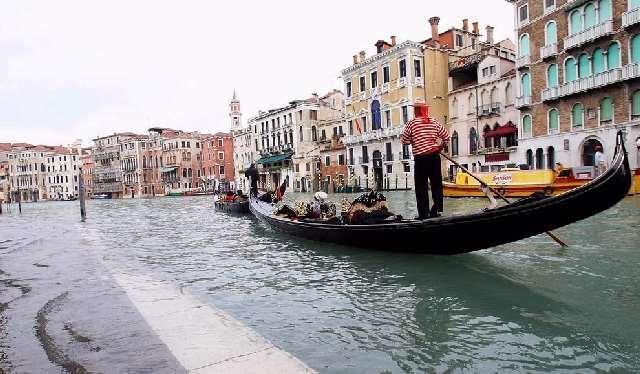 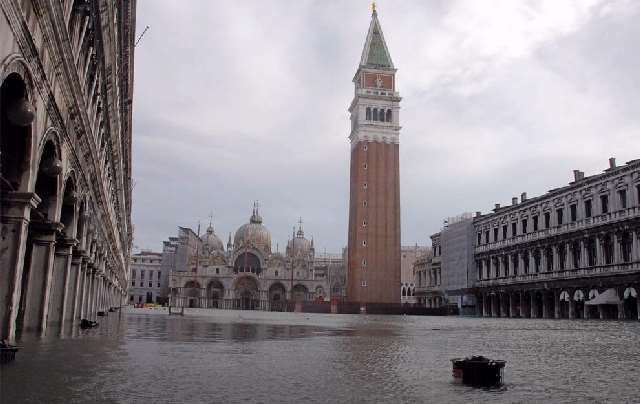 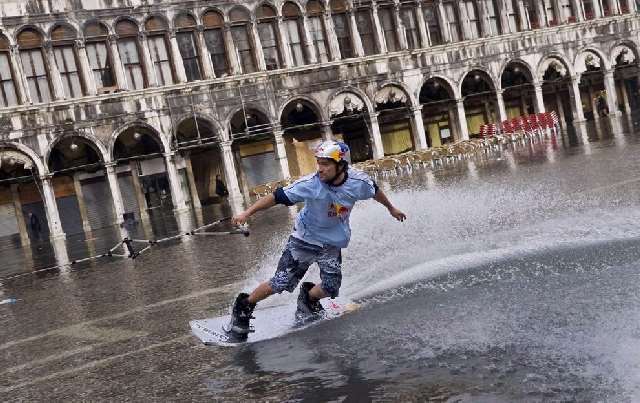 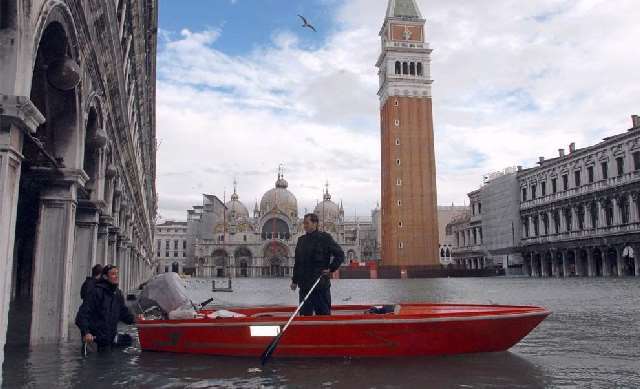 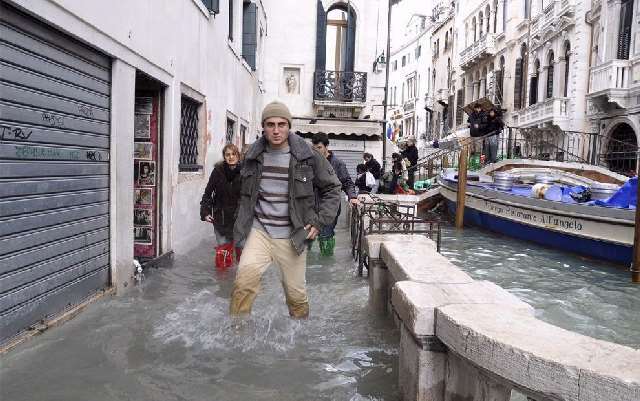 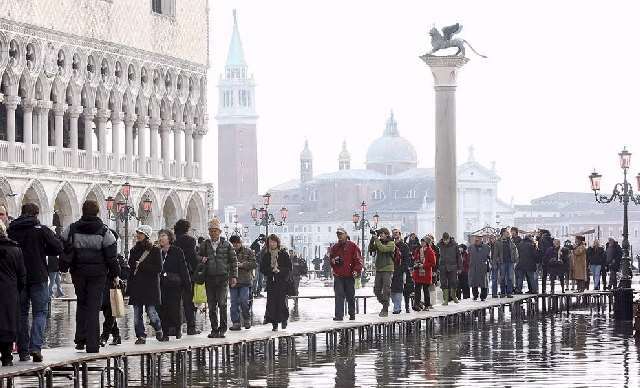 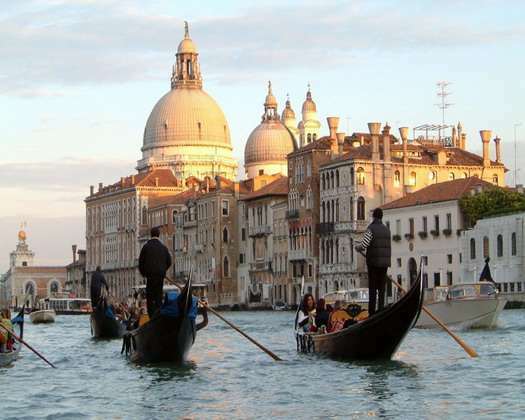 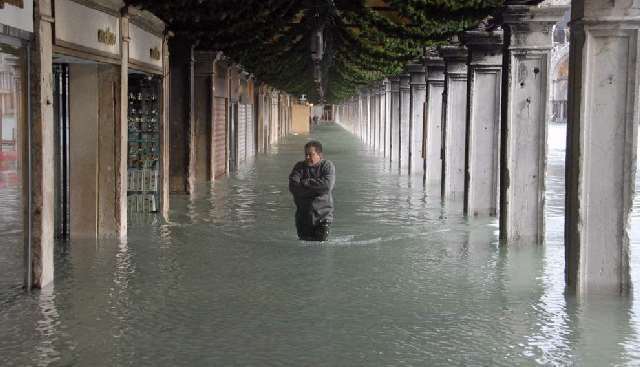 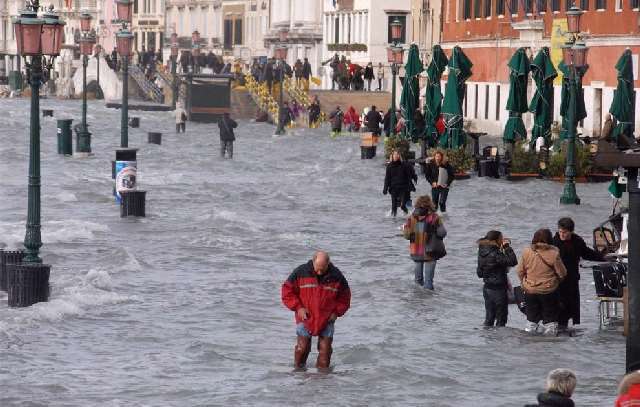 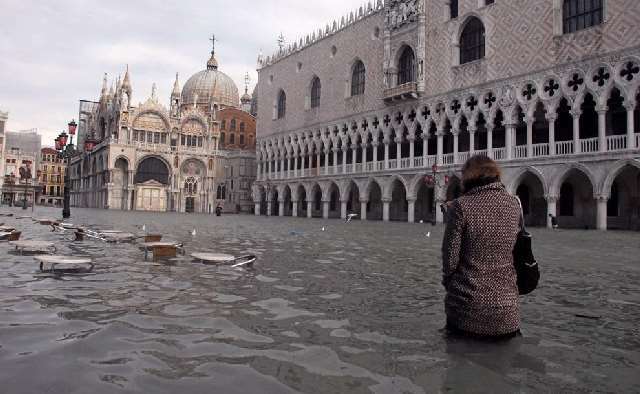 ShangralaFamilyFun.com - Shangrala's Venice Winter Flood! 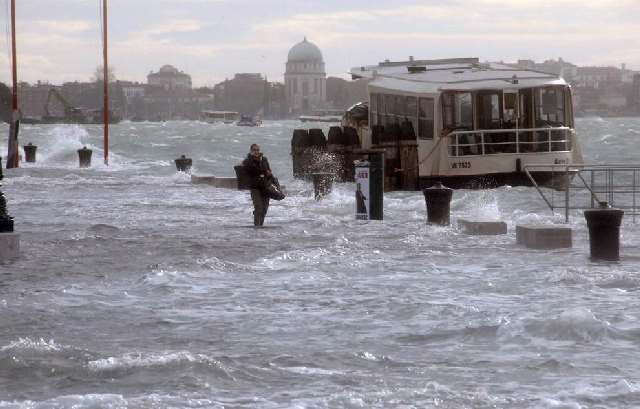 Wikipedia: In May 2003 the Italian Prime Minister Silvio Berlusconi inaugurated the MOSE project (Modulo Sperimentale Elettromeccanico), an experimental model for evaluating the performance of inflatable gates; the idea is to lay a series of 79 inflatable pontoons across the sea bed at the three entrances to the lagoon. 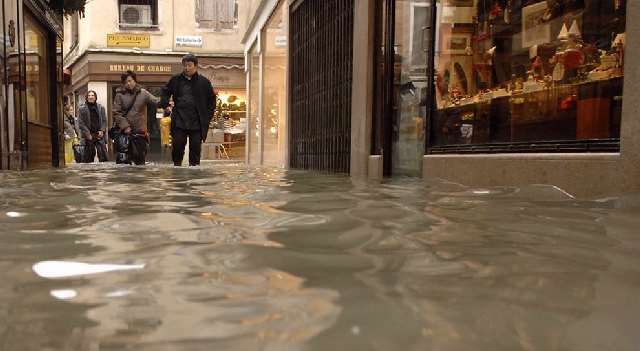 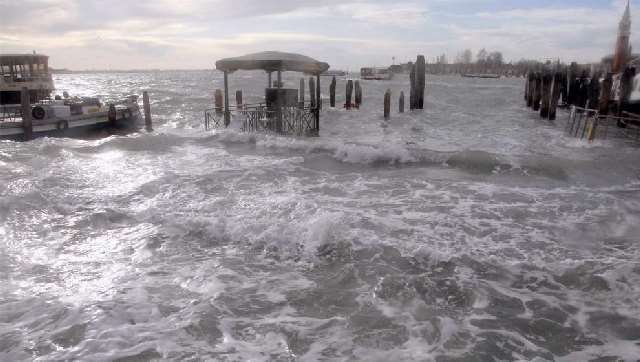 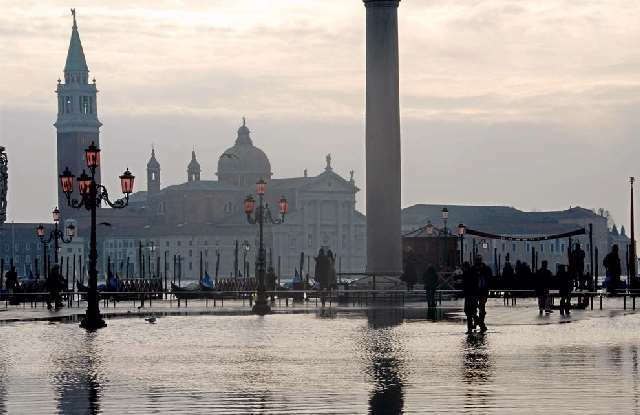 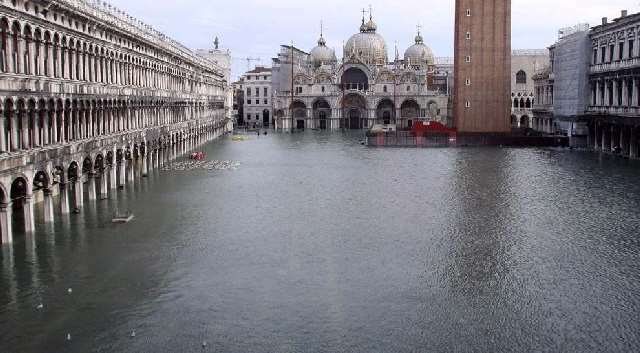 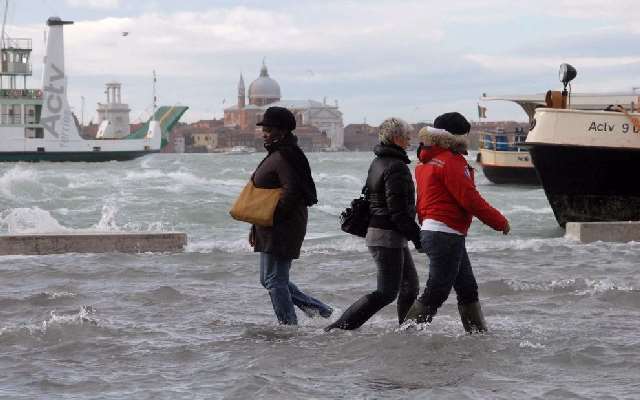 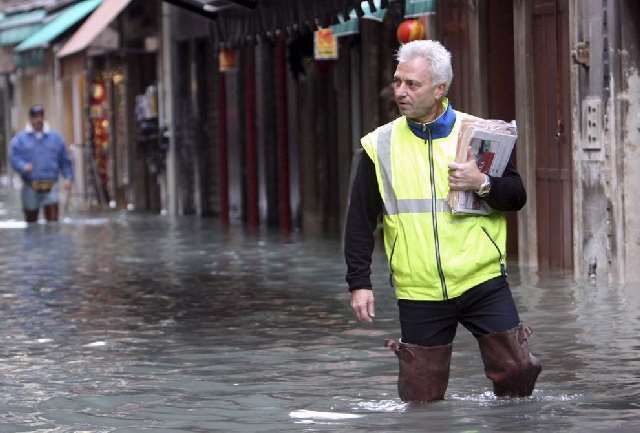 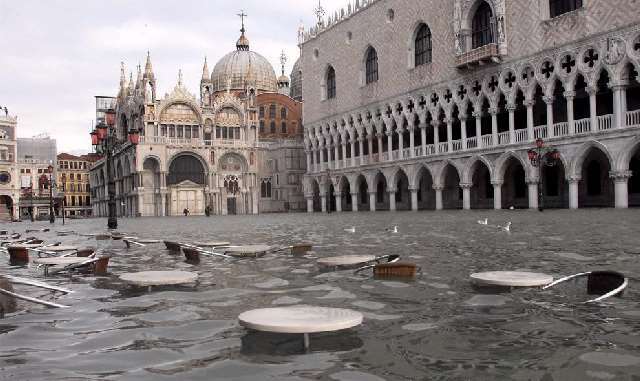 When tides are predicted to rise above 110 centimetres, the pontoons will be filled with air and block the incoming water from the Adriatic Sea.